War often leaves a scar on the planet which lasts long after the battle ends. Nowhere can this be said to be more true than in Cambodia. Due to formen conflicts, Cambodia is now considered to be one of the most heavily mined places on the planet. Land mines that have been left behind are now a regular issue for the people of this area, injuring many and claiming countless lives. It is estimated that about half of the victims are children. Richard Yim, the founder of the start-up Demine Robotics, was raised in this environment and used his upbringings as his inspiration for his start-up. Demine Robotics is focused on building a semi-autonomous robot that can excavate landmines without human interaction. The result would mean a much safer method of disarming mines which would, in turn, increase that speed at which mines can be disarmed. This would produce a much safer environment for the children of Yim’s home country to grow up in. The project started several years back as a fourth year capstone project. Since then, the project has won many different start-up grants, allowing it to expand into what it is today. Furthermore, a test in 2016 heralded encouraging results. The technology was able to seccessfully disarm an active land mine. 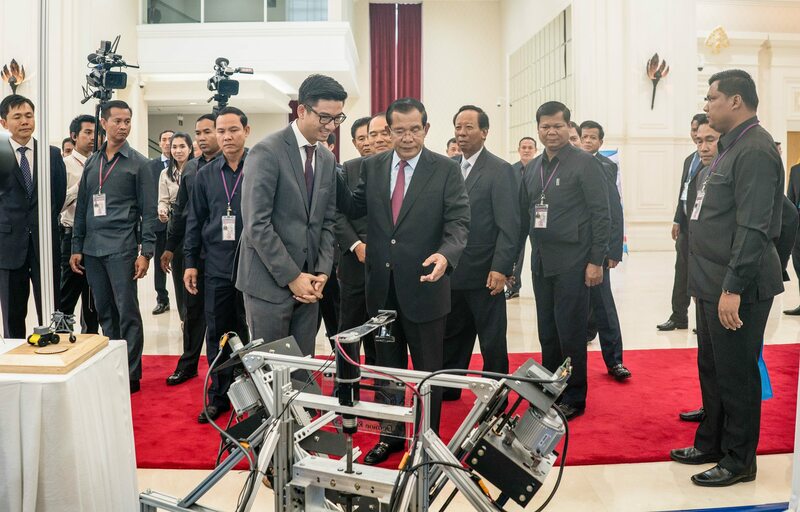 Although one of the offices in which Demine Robotics is based is still located on the University of Waterloo campus, the start-up now has another office based in Cambodia. The project has already gone through many iterations, though some tests were more successful than others. A test in spring 2018 saw the robot fail to properly dig up a mine to be disarmed. Despite the setbacks and with a successful test this past November, the project appears to have a good outlook for the future. Once active, the robot would provide help to many people around the world. There are over 60 countries currently affected by landmines leftover from past conflicts and unfortunately, mines can remain active for a very long time. There have even been recent cases of munitions left behind from the First World War causing issues in France. The fact that so many people could be affected by old land mines for such a long period of time demonstrates how impactful the completion of a mine defusing robot would be.